An early start along the M5 to Kidderminster for our annual friendly against Worcestershire and Herefordshire whereupon we received a warm welcome, a hot cup of tea and delicious bacon rolls. 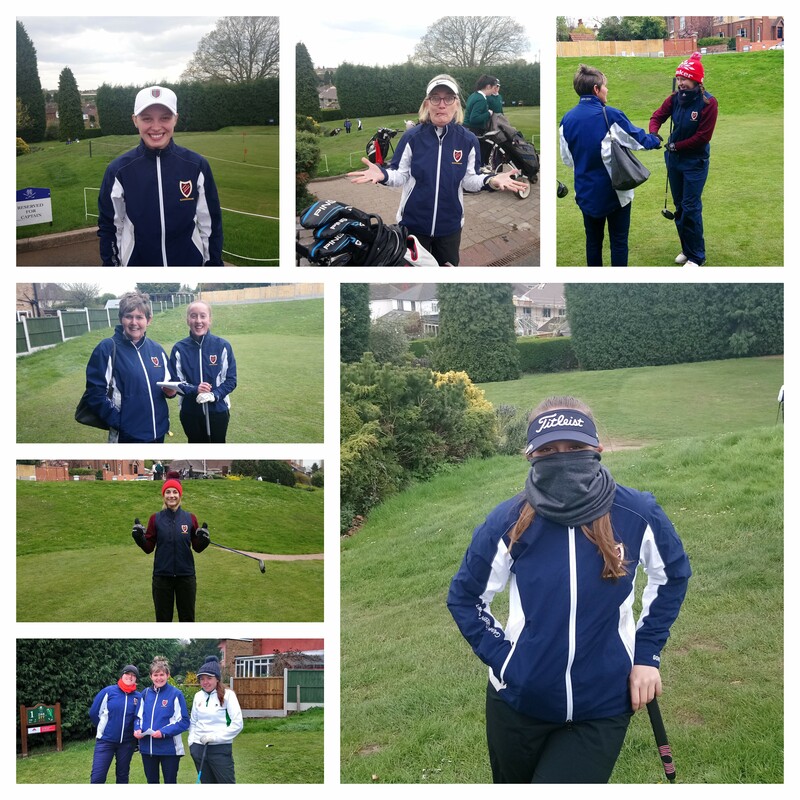 The morning foursomes started at 9am and to lead the way was Ebonie and Sam playing the sisters, Alice and Constance Brooks, a very close match with both teams never going up more than 1up until Glos came home with a strong finish to win 2up. The next pairing Ffion and Issy, played Anna and Grace a strong pairing who would eventually take the match on 16th. Andra, our loved past Captain who valiantly stepped up to help out the team was next to play with Rachael, and they played Karen and Lucy a very strong pairing who knew the course well, so although both battled hard a win was not to be. Our final pairing was Alex and Grace playing Caitlin and Kirston, a tight match with both pairs matching shot for shot. However, once again a win was not be, with W&H taking the match on the 17th. Foursome result 3 to W&H and 1 to Glos. All to play for in the afternoon singles. Ffion was to show us the way in the afternoon singles and this time she was determined not to lose. Playing Anna, Ffion took the lead very early on and went on to win 7/6, A determined Ebonie playing Lucy was next up and like Ffion, Ebonie took the lead very early on also wining 7/6. Issy was next up and started very well, with a small lead, but Karen, a very experienced player and local to the club, fought back hard and was eventually to win 3/2. Sam was next to play against Kirston. Sam took an early lead in this match and although Kirston fought hard, Sam went on to win 4/3. Andra played Grace and started strongly and was up at the turn. However, Grace fought hard and took back the lead which she was never to relinquish so a win for Andra was not be. Rachael played Constance in a very close match, each in turn taking the lead with the match going up the 18th whereupon Constance took the match 1up. The score so far was 3 to Glos and 3 to W & H so for us to halve the day we needed to win the final 2 matches This would be down to Grace and Alex. Grace who was playing Caitlin was not looking good for us on the front nine, and at the turn was 2down. However, it was as if Grace saw a leaderboard and knew what she had to do and came back fighting and by the 14th was one up taking the 15th and 16th, wining 3/2. This meant the result after Grace's win was 4 to Glos and 3 to W&H so it was all down to Alex to bring in that final point. Alex was playing Alice a member of Kidderminster in a very close match neither going more than 1 up and in typical nail-biting Alex fashion taking it down the 18th with Alex wining 1up. Phew! Singles score Glos 5 : W & H 3.